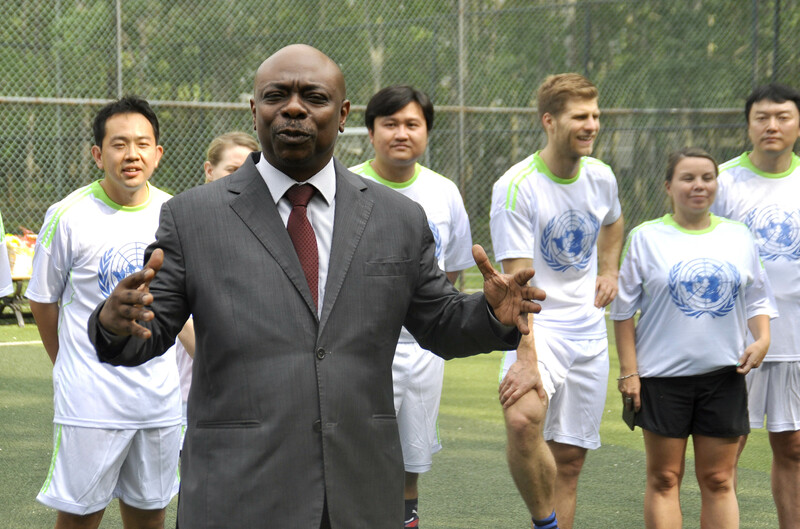 BEIJING, 27 April 2015—The Joint United Nations Programme on HIV/AIDS (UNAIDS) China Office has appointed the football champion, Shao Jiayi, as UNAIDS China National Goodwill Ambassador. 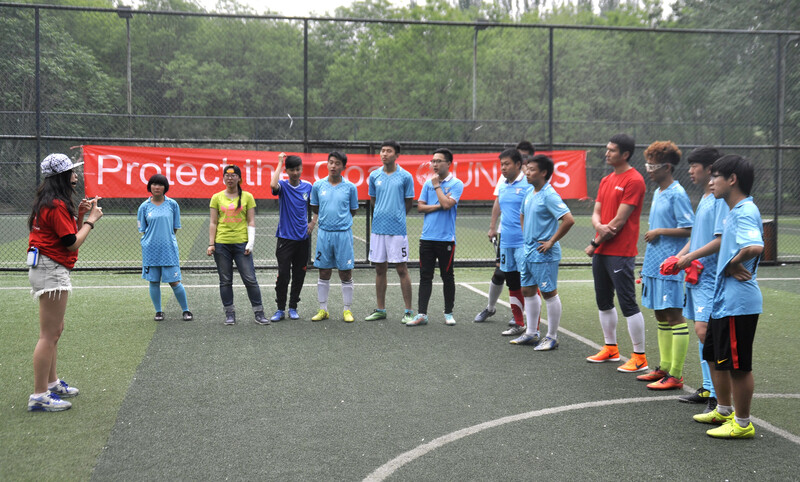 The announcement was made at an exhibition game between the United Nations China Football team and the Capital Normal University Football team in Beijing. Mr Shao was the referee for the friendly match. The footballer, who currently plays for Beijing Guoan in the Chinese Super League, has also had an extensive career in Germany, as well as represented his country at the FIFA World Cup and AFC Asian Cup tournaments. In his role as Goodwill Ambassador, Mr Shao will promote support for ending the AIDS epidemic by 2030 among the Chinese public, especially young people. He will encourage young men and women to become leaders in the response to AIDS and help end stigma and discrimination towards people living with HIV. To mark World AIDS Day in December 2014, Mr. Shao attended an event in Beijing organized by UNAIDS as part of its Protect the Goal campaign, which garnered widespread attention from the media and young fans. The campaign uses the popularity and convening power of sport to raise awareness of HIV and drive young people to commit to HIV prevention. Young people are particularly vulnerable to HIV. AIDS is the second leading cause of adolescent deaths worldwide. In China, 15.3% of people living with HIV are young people (aged 15-24 years).